This April, representatives from the EuroMAB network of Biosphere Reserves (BRs) will meet in Sarlat, France, for their meeting, EuroMAB 2017. Held every two years, these conferences facilitate the exchanges of ideas, best practices and more among EuroMAB members, but how much sharing of BR expertise occurs during the intervening two years? The ICSRC’s online platform euromabwiki.org will provide a user-friendly way for EuroMAB members to share and access expertise across the network. At the 2013 meeting in Canada, Dr. Fred Roots highlighted the “distressing paucity of technical or scholarly information or references emanating from BRs individually or from MAB itself “. During the 2015 meeting in Estonia, a survey of EuroMAB members’ needs identified that their highest priority was “Knowledge mobilization and sharing of BR concepts, ideas, case studies, research and successful application across the EuroMAB network and beyond”. The new online journal International Journal of UNESCO Biosphere Reserves is an important step towards collating BR research and making it available, for free, to the worldwide BR community. However, there is more information, knowledge, and ways of knowing among the EuroMAB BRs, than can be processed by the journal, so how can the EuroMAB network share all these concepts, ideas, case studies, research and educational resources, and enhance opportunities for collaboration? The ICSRC’s solution is a wiki site. A wiki is a fully editable website whose content can be edited by anyone who has access to it, using any web browser. It is based on the idea that within any organization, a great deal of knowledge exists among the members. Sharing this knowledge and information can raise the organization’s knowledge level, and wikis work best when individual authorship is less important than the outcome that is created. There is no need to learn coding: Creating and editing content is very easy and user friendly, and does not require programming languages. Non-technical users can also create and publish content with ease. The software is free: It is a cost-effective solution. 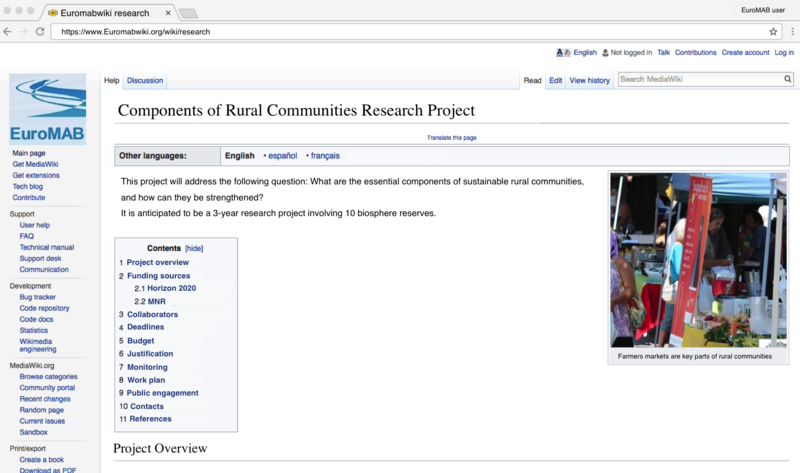 Open access: Anyone can access and manage wikis from anywhere with an internet connection. Collaboration: People from all around the world can collaborate and work on the same document. Connects multiple resources: Wiki is a combination of web pages linked together, so users can make connections between multiple internal pages. Develops a sense of community: They typically have a history page that lists the original contributor of an article and those who have edited and made revisions. The question remains, what information will the Euromab wiki site contain, and how will it be used? The simple answer is, whatever the community contributes to the site! The vision for the site is that it will be for EuroMAB members and by EuroMAB members. The ICSRC’s role will be in setting up the software, hosting the site, promoting its use, and providing moderation. 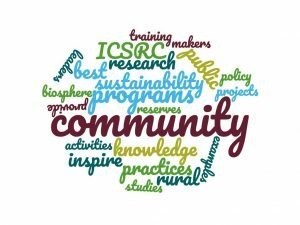 The ICSRC working group came up with numerous examples of content and uses for the site, including, and certainly not limited to: being a location for collaborative grant applications, citizen science resources, repository for case studies, source for sustainable development best practices, collation of research on biodiversity and climate change. To be kept up-to-date with progress, please sign up to receive our newsletter.